In what the EU chief called a “major concession,” US President Donald Trump agreed on Wednesday to refrain from imposing car tariffs while the two sides launch negotiations to cut other trade barriers, easing the threat of a transatlantic trade war. After a meeting at the White House, Trump and European Commission President Jean-Claude Juncker said the talks would also seek to “resolve” US tariffs on steel and aluminum and Europe’s retaliatory duties – marking a step back from Trump’s signature import protections for American metals producers. The breakthrough came as the bitter trade dispute between the United States and China appeared to claim a major casualty, with China not approving US chipmaker Qualcomms takeover of NXP Semiconductors, likely shutting the door on the $44bn deal. 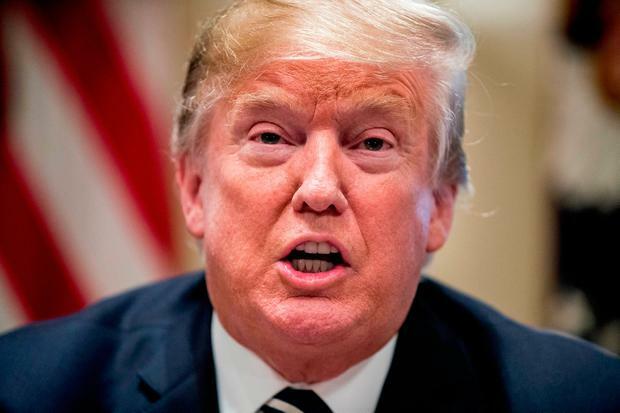 Trump said Europe agreed to increase purchases of US liquefied natural gas and lower trade barriers to American soybeans, aiding US farmers and the energy sector. Juncker said the two sides agreed that as long as they were negotiating on trade, they would hold off on further tariffs, including potential US tariffs on cars and auto parts. He later told reporters that was a “major concession” on Trump’s part and that he expected the US president to follow through on it. US stocks shot to their highs of the day, with the benchmark S&P 500 Index rising by the most in nearly two months to close the day within 1pc of an all-time high. US Treasury prices also eased and the 10-year note’s yield ended the day at a one-month high near 2.98pc. Steelmakers’ shares fell, with United States Steel falling more than 5pc in extended trading, and AK Steel Holdings sliding 2pc. Trump and Juncker said the US-EU talks would seek to eliminate tariffs, trade barriers and subsidies for non-automotive industrial goods, and cut barriers to transatlantic trade in services, chemicals, pharmaceuticals and medical products. They also said they would cooperate to reform the rules of the World Trade Organization, which the Trump administration frequently criticizes for favoring US trading partners. The Commerce Department could recommend new tariffs as early as September after an investigation into whether car imports posed a risk to US national security. US farmers have been hurt by China’s retaliatory tariffs on American soybeans amid an escalating trade fight between Washington and Beijing, and Trump has been promising relief. On Tuesday, his administration said it would use a Depression-era program to pay farmers up to $12bn, easing the pain for a politically important Trump constituency. Juncker said the United States had agreed to build more LNG export terminals to increase supplies to Europe.